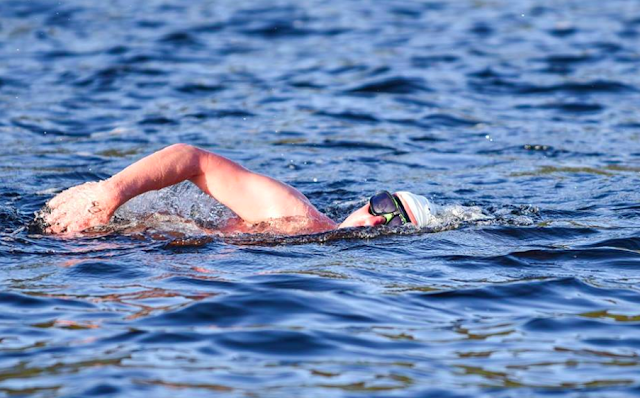 The Global Swim Series includes 132 open water swimming competitions held in 36 countries. In the male non-wetsuit division, there is a tight season-ending competition that is culminating between Colin Lindsay, an architect from Ireland, and Michael Kenny of Quebec, Canada. The 40-something men have both participated in 13 races total on the 2017 Global Swim Series that started on May 1st 2017. Kenny last won the 2015 Global Swim Series and finished fourth overall in 2016. The 2017 season coming to an end at the end of this month. For complete rankings on the 2017-2018 Global Swim Series, visit here.